The Powerful Full moon or Supermoon on November 14th, is also called the Beaver moon. It is the closest to the earth in 39 years. The “Beaver Moon” gets its name from a time of year when early colonists and Indian tribes set their beaver traps. More specifically, they needed to set them before the land froze over. During the colonial period, beavers were treasured for their exceptional and warmth-giving furs. This Powerful Full Moon or Super moon can be used as a time to make room for new prosperity and understanding. 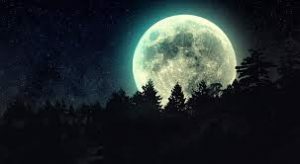 A Full moon puts us into a release cycle of the moon. A time to let go, of fears and things that no longer serve us. Often times such as now things have changed we do not understand or agree with and often we are just afraid of change or the unknown. This energy shifting candles exercise is perfect for removing those fear and negative thoughts. The fear of not moving forward, the fear of rejection, the fear of not having (this can be a huge block) be it a person, place or thing. And of course the fear of change and the unknown. So on this most Powerful Full moon of the year, let us remove our fears, clear our vision and manifest a prosperous time. This is a simple 2 candle exercise. Do this the day AFTER the Powerful full moon. Remember this is energy shifting. A burning candle gives you something on which to focus, a reminder that you are letting go. This is to be done for you, not others. It may be there Karmic path to face their fears and deal with them accordingly. On a piece of paper write down what it is you are releasing. The fear of not having enough of something, not being good enough,smart enough, strong enough. All this can block all our efforts. If you do not know what your fear is — simply leave it blank and the universe will fill it in for you. On the first day after the Full Moon, Light the red and then the white giving up all your fear and anxiety to the higher power in your life. Let it burn till done. I use the glass jar candles that burn for about 7 days. These are usually found in grocery, drug stores and the .99 store. They sometime have saints on them. I place mine on a cookie sheet, pie tin or candle holder in case of cracking as it gets lower and hotter. fear, fullmoon, letting go of fear, manifesting, powerful moon, releasing, removing fear. Bookmark. I had a blissed piano session under the black moon, and a full album emerged out of this powerful energy.